Here at Bitcatcha, I love helping people grow their business ideas. In fact, I recently ran a big article on how to set up your first online store. 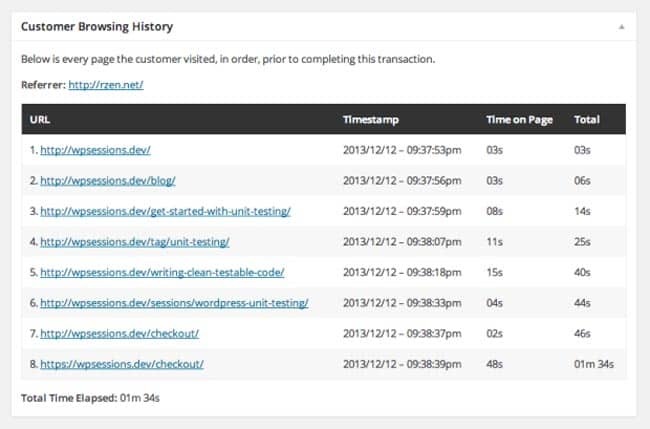 There, I suggested using the WooCommerce plugin for WordPress. A lot of people have asked for more information about this toolkit, so today I’m digging a little deeper. WooCommerce is a simple (free!) plugin for WordPress. It slots into your website, and does all the hard work of building your online store. It’s a professional solution that powers nearly 30% of all ecommerce sites on the web. 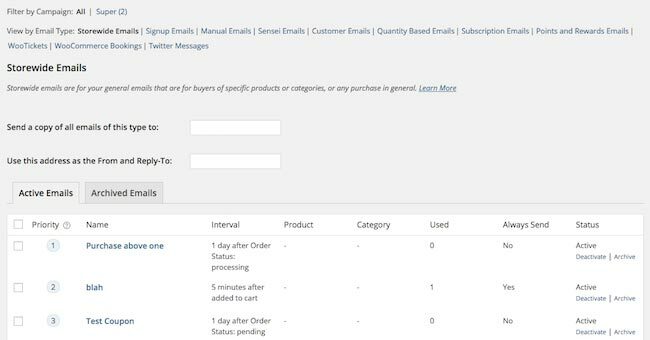 It displays your products, processes orders, and organises your shipping. Best of all, it’s really easy to use and it’s completely free to get started. To ensure top performance, please make sure the WooCommerce online store is hosted on a managed WordPress hosting. Simple productThis is your average product with no variations. Like a book, sunglasses or a camera. Grouped productThis is a group of related products with slight variations. For example, Apple would use the grouped product option to sell their iMac with the variation in screen size. External or affiliate productThe product is listed and displayed on your site, but the customer actually buys from a third party. Variable productFashion sellers will use this to sell T-shirts in different sizes and colours, for example. This alone is enough to get your store up and running. You’ll make your first sale and start building a business. But, if you really want to take things to the next level, you’ll need some of WooCommerce’s awesome extensions. Many online stores give you the choice to customise your chosen products. For example, you might want to add an engraving, or include a gift message. If you’re planning on opening a craft store, a jewellers or a flower shop, you’re going to need this extension! 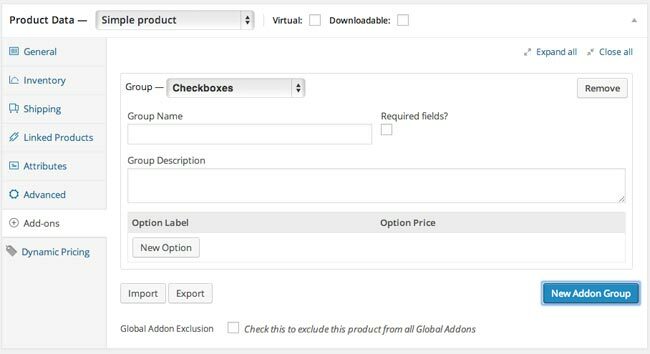 The Product Add-Ons extension gives your customers more choice and involvement. You can apply it globally (to all products) or one by one. > Get Product Add-Ons now. Working out your shipping costs is easily the most frustrating thing about running an online store. That’s why Table Rate Shipping is such a life-saver. All you have to do is enter the size and weight of your products. The extension will then calculate the costs for your customers based on their location. It takes all the hassle out of shipping, and gives your customers instant, accurate shipping rates. > Get Table Rate Shipping now. Perfect for: Sales and discounts! If you want to run sales and offer discounts (who doesn’t love a good sale?) you’ll need this extension. 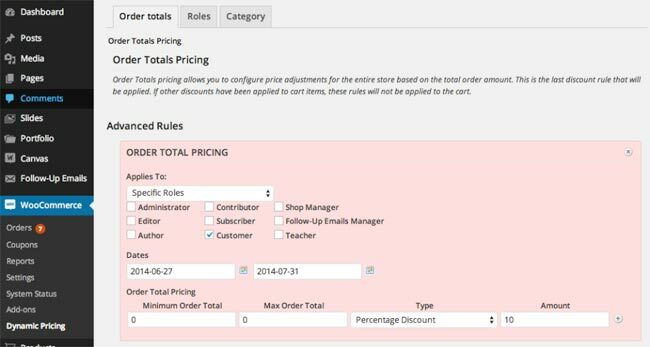 Dynamic pricing lets you alter the prices of your products based on a variety of factors. For example, you can set a discount for loyal customers. 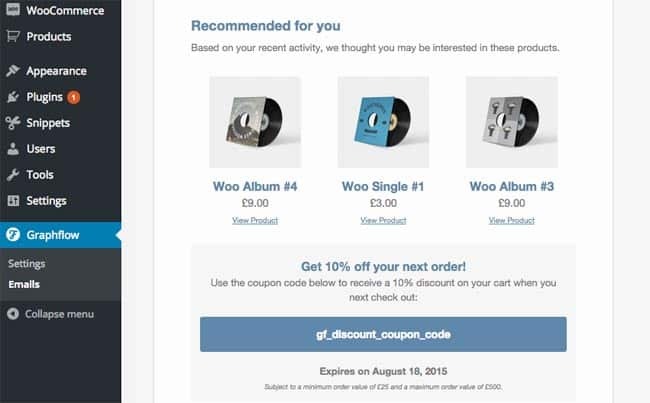 Using this extension, you can offer a discount or bonus to those who have already bought five products from you. Maybe you want to trigger a clearance sale when your stock dips beneath a certain number. Or perhaps you want to cut the price of all books by 10%. Easy! > Get Dynamic Pricing now. Studies have shown that 88% of customers trust online user reviews. There’s a reason why Amazon places such an emphasis on its user rating system! By providing a reviews system, you can show new customers that people trust and love your products. That’s often enough to convince them to make the sale. This simple extension will boost sales and encourage more interaction between you and your customers. It’s an essential part of your new online business. > Get Product Reviews now. This is my favourite extension because it gives you so much insight into how customers are using your online store. If you’ve read my recent blog on user experience, you know how important it is understand your users, and tailor your website around them. This extension lets you do just that. It shows you exactly how your users are browsing your store, so you can monitor what’s working. More importantly, you can keep a full purchase history. With this info, you can send personalised recommendations to your best customers, and tailor the experience directly for them. But, there’s an even better feature. It calculates each customer’s lifetime value based on their purchase history. It tells you exactly who your best customers are, so you can reward them and keep them loyal. > Get Customer History now. It’s a great way to keep the conversation going and bring them back for more! Set the follow up email at any intervals you like. > Get Email Follow-Up now. Sometimes, the simplest tricks are the most effective! Customers love reward points, as it gives them something to work towards. ‘Gamifying’ your store is the perfect way to keep customers coming back time and time again. 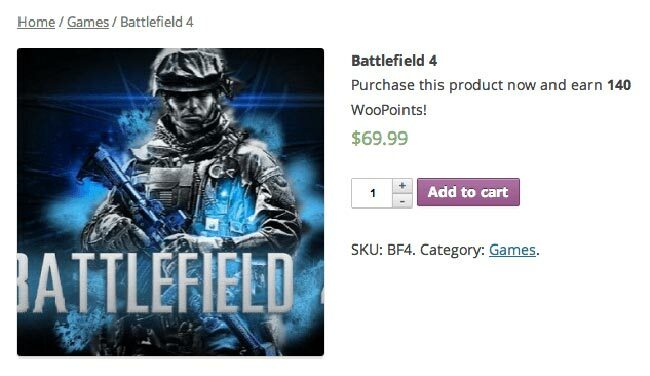 With this extension, you can give each product ‘points’, and easily show customers their points balance. You can get really creative with your rewards here. Everything from freebies to discounts work really well. Why not make it a tiered system, so top buyers can access the ‘Gold’ points system? It works every time! > Get Points and Rewards now. Amazon are the masters of recommending products. Visit their website, and you’ll see a steady stream of products recommended personally for you. That’s because they know your buying and browsing habits. They’ve created a clever recommendation system, so they show you the things you already want. It’s devilishly brilliant! Well, you can do the same thing with the Recommendations extension. This add-on groups your related items together and works with your customer history to offer a bespoke range. When you offer your customers exactly what they want, they’re much more likely to buy from you. 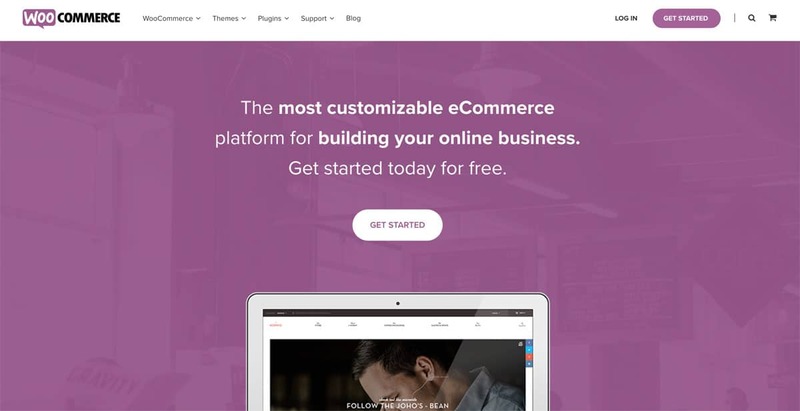 With WooCommerce and these eight extensions, you’ll create a professional online store. You’ll also delight your customers and see the profits roll in. I’d love to hear from any WooCommerce users out there. What’s your experience with this plugin, and which extensions are you using? Stick with me, because next week, I’m bringing you the ten best WordPress and WooCommerce themes. See you then!